copost is an ultra-complete post-workout supplement designed to help you make the most of each training session. Our experts focused on the athletes’ recovery needs and selected proven ingredients that they combined at full dosages. 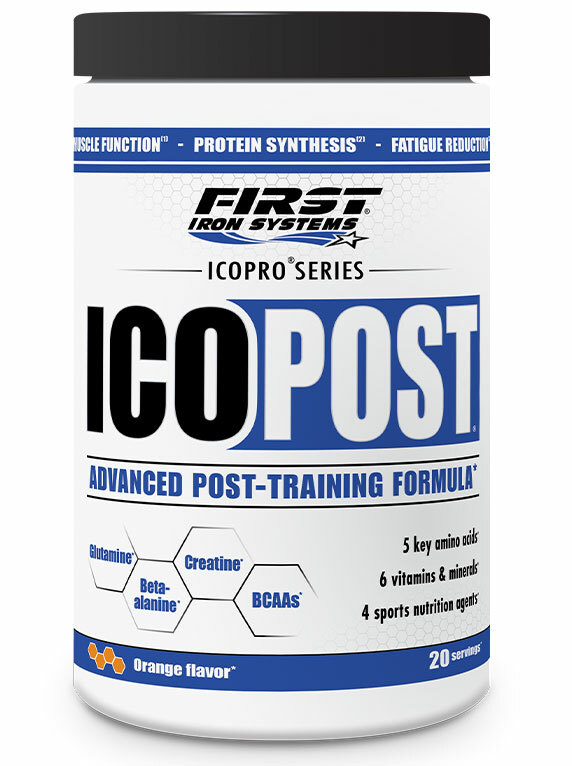 Icopost first contains key amino acids and sports nutrition nutrients such as L-Glutamine, creatine, beta-alanine, BCAAs, betaine HCl, L-Carnitine and taurine, which helps to replenish the stores used while training. 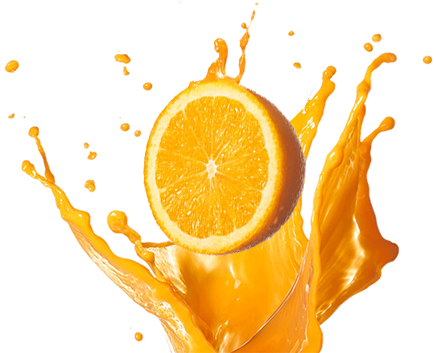 Icopost then brings a complex of vitamins carefully crafted : vitamin C contributes to the protection of cells from oxidative stress. Vitamin B1 plays a role in the energy-yielding metabolism. Vitamins B2, B3 and B6 take part in the reduction of fatigue and tiredness. Vitamin B6 also intervenes in the protein and glycogen (the ultimate fuel source for muscles) metabolism. All these compounds work in perfect synergy to support the post-workout window. If you are looking only for the best to achieve maximum results, Icopost is definitely a great choice. 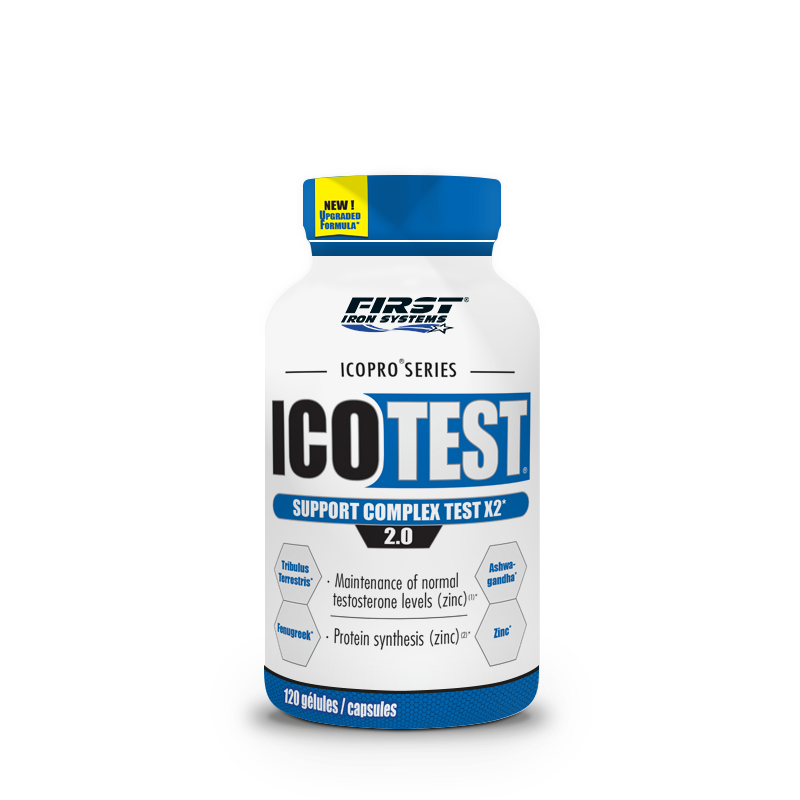 When we develop a product in our supplements line Icopro (Integrated Conditioning Programs) Series, we select only proven nutritional compounds able to provide a valuable edge given a particular goal. Because to progress, you have to supply your body with the right nutrients at precise dosages. Icopost is built on solid science and is pure efficacy. It has nothing to do with these formulas relying on inefficient “exotic” compounds just used for marketing purpose or to artificially boost the number of ingredients. It doesn’t contain any under-dosed key nutrients. No need to take two, three (and even more) different supplements. 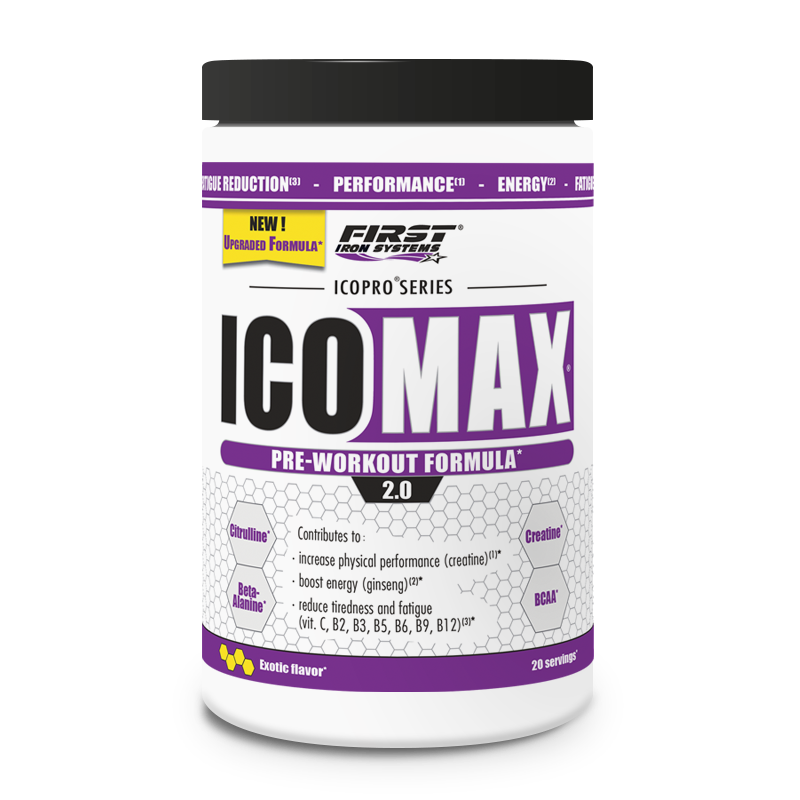 Icopost is an all-in-one powerful formula designed to help you get the most out of your workouts. Magnesium contributes to normal muscle function and normal protein synthesis. Vitamins B2, B3, B6 and C contribute to the reduction of tiredness and fatigue. ¹ Some people might experience a slight tingling sensation (usually around the lips) in the first weeks of use of beta-alanine. This feeling is normal and harmless, it will gradually disappear. Mix 25 g in 300 to 400 ml cold water. During a workout, the stress applied to the muscles results in the breakdown and damage of fibers whereas the body uses a lot of nutrients as fuel to supply its energy needs. Exercise is obviously important, but it is just the stimulus needed to progress. Because muscles are rebuilt bigger and stronger not during but after training. The recovery phase is where real magic happens. It begins just after you hit your last rep and can last a few days depending on your workout intensity. 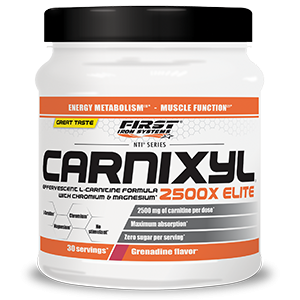 In order to start renew the energy stores and regrow muscles, the body first relies on amino acids and nutrients previously consumed and that were not used while exercising. But most of the recovery process depends on the nutrients, amino acids and sports nutrition compounds you take right after training. They are a key factor to get the most of each session and be ready for the next one. Our researchers work closely with the best flavor experts and we carry out a lot of tasting tests with real users until we get the best result. The goal is to propose a unique and gourmet taste, that you’ll just love session after session. 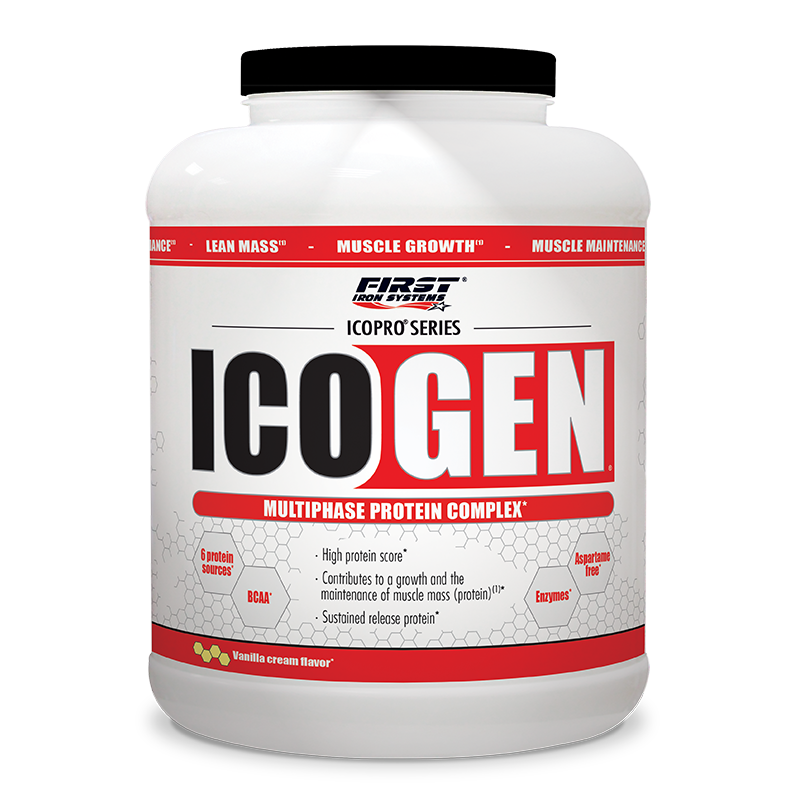 Icopost combines all the post-workout nutrients the body needs to fuel recovery just after training and get maximum results. Icopost is the best post-workout for a quicker and better recovery with hardly any muscle soreness and it has me ready to go the next day. To achieve outstanding quality, we pay close attention to each step of the manufacturing process of Icopost from raw material selection to production. We also carry out strict controls to make sure our products meet the highest standards of quality. That is why you can be sure that each component listed on the label is fully included in the bottle.